The subject of discussion before this morning's exercise class was almost as dreaded as the imminent leg lifts: back to school shopping. One friend boasted that she had it all done, from the socks to the lunchbox. Slacker that I am, I haven't even started, but with J.Crew's timely 30% off sale going on, I will get cracking. Right this very minute! 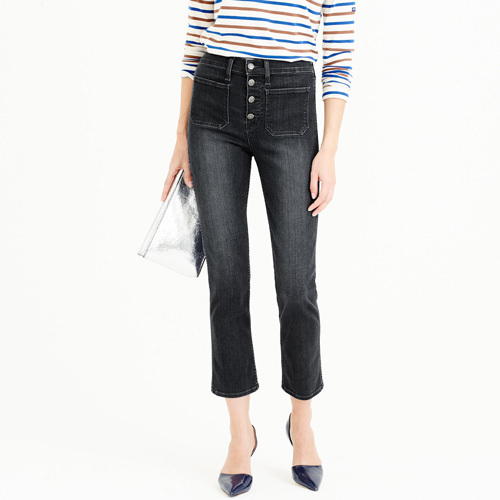 On top of the boys' khakis, polo shirts, and sweaters for their school uniforms, I'll stock up on a few everyday staples for myself, of course, like these cropped Point Sur jeans, these pointy-toe patent flats, and this infinitely useful and impeccably stylish popover shirt. Now it's your turn!